“Pathfinder” is one of the ugliest and most incomprehensible movies I have ever seen, a cynical exercise so unpleasant to endure that it doesn’t even have the gumption to inspire disbelief, much less unintentional laughs. Had the camera been a firing squad pointed towards its actors, their careers would have taken less damage. And what’s far worse a notion is that its filmmakers, obviously caught somewhere between insanity and masochism, actually had the nerve to make and release a movie in this utterly wretched condition. Was no one in the pre-production stages willing to speak up in protest, if for no other purpose than to prevent undoubtedly talented individuals from embarrassing themselves? Or were their protests simply unheeded because of misplaced arrogance? A documentary dealing with that answer would make for far more interesting a movie than the result currently staggering around in front of us. The very idea of this story is a flimsy one. In the old days of relentless torture and pillaging on part of cultures hell-bent on ethnic cleansing, a Native American woman wanders into the wreckage of a Viking ship and finds that the sole survivor is an infant child – a son of violent origins who will inevitably be raised by the tribe to be kind and accepting despite the blood of a destructive populace coursing through his veins. When he grows to become a handsome and rugged warrior named “Ghost” (Karl Urban), there is a distinct line drawn between native factions; some accept him, others merely tolerate his presence, fearing the legacy he came from. And then, in no ironic twist of fate, another Viking ship pulls into the bay years later to wreak havoc on the tribes that narrowly escaped certain doom so many years before, and Ghost finds himself caught in the middle of the battle lines. Or something to that effect. The movie was reportedly remade from Nils Gaup’s own “Pathfinder,” a little Norwegian picture from 1987 that went on to earn an Academy Award nomination for Best Foreign Language film. Gaup ought to file a grievance. Being unfamiliar with the source, a few points are cemented in the modern version: 1) not a single moment in this screenplay inspires coherent thought; 2) the visuals are relentlessly murky, as if shot through lenses that were pulled through the mud; 3) many scenes are hastily edited and detached, suggesting no coherent direction right from the beginning; and 4) the mood is scornful without context. If mere idiots were not the true culprits of such an amateurish endeavor, then let us collectively weep for the future of action pictures. Alas, we do recognize that talent was involved in some capacity. Consider, as an example, the writer Laeta Kalogridis; while fairly fresh to the cinematic fold and spotty with successful scripts thus far (prior credits included the terrible “Alexander” but the fascinating “Night Watch”), there is no denying her knack for details. Similar can be said of director Marcus Nispel; well versed in the art of directing music videos (some of which have been very visually inspired), here is a man who first came to the big screen by remaking “The Texas Chainsaw Massacre” into, for better or worse, an audacious horror film with modern visual sensibilities. But could anybody, even someone with much more experience, have made a passable film out of a premise this insubstantial? I have my reservations. There is a moment early on where Ghost is warned that “there are two wolves fighting in each man's heart: one is love and one is hate.” To call that the most inspired moment in the whole picture is a very telling reality. This brings us to the plot, if you dare even call it one. The movie takes place mostly in a wilderness burdened by conflicting weather patterns (sunny beaches and wintry forest interiors are seen in some of the same sequences), where the characters wander amongst the trees, around caves and on open waters like spectators waiting for the action to begin. Occasionally, one of them will wander into the center of the frame as a way of speeding up mundane narrative progression, and discuss circumstances through implicit metaphors. 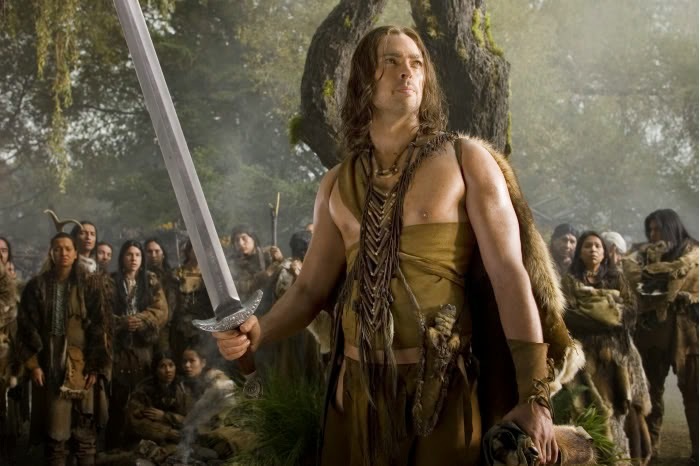 Example: the leader of the native tribe is Pathfinder (Russell Means), whose daughter Starfire (Moon Bloodgood) takes a liking to the fair-skinned Ghost (Urban) but has his own reservations about the possible coupling, even though he doesn’t come right out to indicate so. Furthermore, they seem to simply coexist rather than live in unity, and that doesn’t so much come down to personality conflicts as it does Ghost’s own checkered heritage; if he is from the same faction of bloodthirsty Norsemen who aspire to destroy their world, who is to say he simply won’t revert to such ways once the Vikings make their inevitable return? A more probing question: who even cares here? It isn’t enough for the movie to follow every item on a checklist of formula staples, it also has to overwhelm them with technical ineptitude. The action sequences, which are non-stop from the very moment that a new troupe of Vikings makes landfall near the native villages, are a confusing muddle of camerawork and editing. The visuals, an unattractive display of cold tones and blurred details, make events impossible to follow, and stunts are reduced to vague blobs and silhouettes that look like they belong in an inkblot test. Dialogue exchanges between the villainous Gunnar (Clancy Brown) and Ghost read like pedestrian ramblings about the inevitability of destiny, and they are intercut with such autonomous violence and gore that one wonders how much blood a human body can even hold. There is no denying the suffering and torture that civilizations endured at the hands of the cruel Vikings so many centuries ago, but the movie takes such thoughtless delight in offering their antics up in a grotesque display that the intent seems curiously detached (and worse, without artistic foundation). Karl Urban, a unique face among action stars, never emerges here as a plausible lead for a film of this nature. Relatively effective in a minor role in the “Lord of the Rings” pictures but victimized by sheer stupidity in the movie adaptation of “Doom,” his presence, we gather, is relegated to that well-known cliché of male leads being all about window dressing, and his emotionless gaze serves to fuel the notion that “Pathfinder” is a crude lapse in ordinary human sentiments. The supporting stars, meanwhile, have no established grounding, and when the antics of the Vikings inevitably lead to village burnings and despicable slaughtering, there is never a moment to pause in contempt for their reality; instead, we are left disgusted by the misplaced vulgarity of the conviction, and baffled by the incoherent way at which scenes only offer rough outlines of the events. And at 99 minutes, it also moves along at a snail’s pace, despite being front-loaded by endless excursions through the muddy waters of battle and torture. 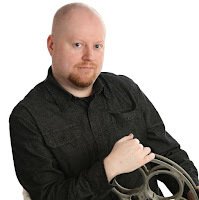 Watching “Pathfinder,” I was instantly reminded of a time long ago when my presence on a distribution list for a video company specializing in the release of independent exploitation films exposed me to some of the most low-brow standards of aspiring filmmakers. Among those releases, now lost in the haze of VHS obscurity, were some of the trashiest and most disgusting endeavors one could ever sit through. But they were made by filmmakers who knew exactly what they were doing, who took some perverse delight in the notion that their antics would illicit strong responses. In many ways, I admired that audacity. But what place do such values have at the top of the cinematic food chain, especially when they are the result of a blatant miscalculation rather than an intentional conviction? Here is that rare and unfortunate reminder that the moviegoeing experience can be just as exhausting as it is rewarding.